Group photo of 8th Battalion (Winnipeg Rifles) soldiers during the First World War. These photos are not meant to glamorize smoking but, rather, illustrate how integrated smoking was in soldiers’ lives in the early 1900s until the Second World War. Tobacco was an integral part of Army life during the First World War. Cigarettes were often issued as part of a soldier’s rations, were commonly part of care packages sent from home and were overall highly valued (a cigarette case has even been credited with stopping shrapnel and saving a British soldier’s life). Pipe smoking was common but use shifted toward cigarettes as the war ground on. All smoking material, however, posed an operational danger as they could give away one’s positions through the glow of embers. Tobacco tin - early 1900s. Smoking used to be the norm in the workplace. In 1989 it became illegal to smoke anywhere in a Canadian federal workplace including Canadian Forces buildings. Before that, soldiers could and did smoke at work, in classrooms and during meetings. 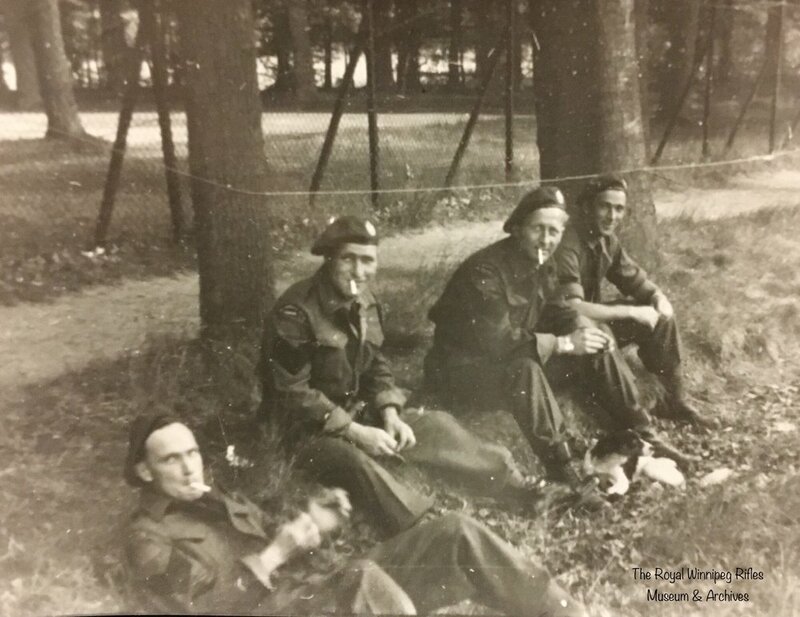 Royal Winnipeg Rifles taking a break somewhere in Holland, 1944 or 1945.